Brig. 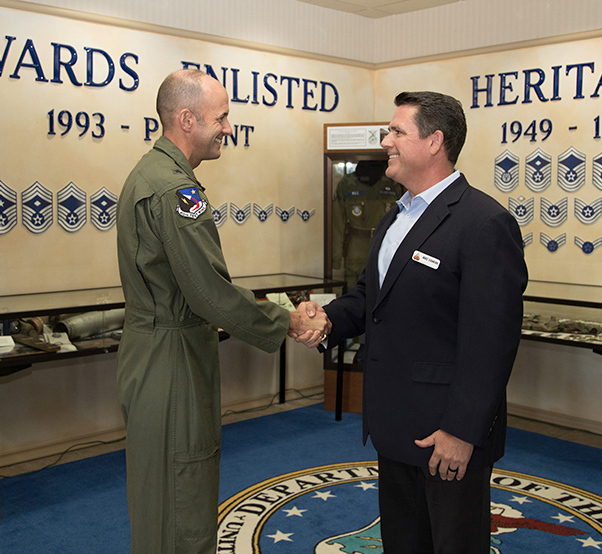 Gen. E. John Teichert, 412th Test Wing commander, and Mike VanKirk, Los Angeles County Air Show Board president, met at Edwards Air Force Base Sept. 26 to begin working toward solidifying a formal multi-year partnership to conduct air shows at William J. Fox Airfield and Edwards Air Force Base. The Los Angeles County Air Show, Inc. Board of Directors and senior leadership at the 412th Test Wing, Edwards Air Force Base in Southern California, have agreed to begin working toward solidifying a formal multi-year partnership to conduct air shows in the region. 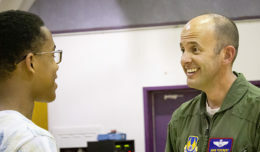 This partnership paves the way to resume air shows at Edwards Air Force Base. The last public air show at the base was in 2009. 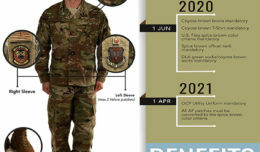 * and Oct. 14-16, 2022, at Edwards Air Force Base, Calif. This premier air show launched in 2014 at William J. Fox Airfield with participation by several aerospace companies, numerous community sponsors, Los Angeles County 5th District, and the City of Lancaster. During the past five years, the air show has featured premier U.S. military flight demonstration teams including the U.S. Air Force Thunderbirds, U.S. Navy Blue Angels, F-22 Raptor team, and numerous premier aeronautical performers, Heroes and Legends discussion panels, and provided STEM scholarships to local youth. More details are scheduled to be released in November 2018.